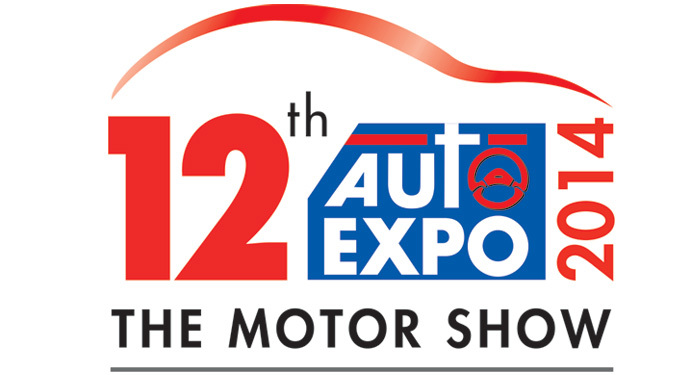 The 12th Auto Expo 2014 is around the corner, it is fine if you did not organize your visit yet. 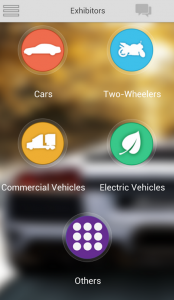 With the upcoming Motor show, the company has also lunched a new application on all mobile platforms. 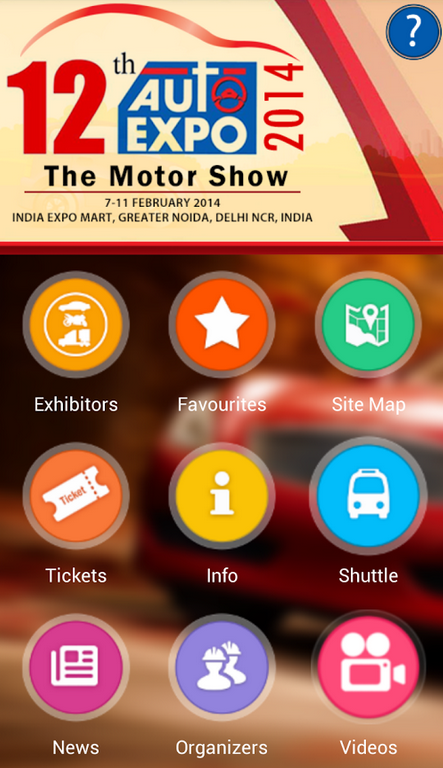 ‘AutoExpo – Motor Show 2014’ is the app, and can be downloaded from Play Store, App Store, Windows Store and also on BlackBerry’s Store. To start with, the user interface of the application is fairly simple. 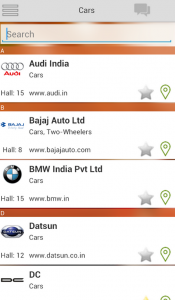 The home screen will show you options like the list of exhibitors, from which you can choose your loved one and mark it as favorite. 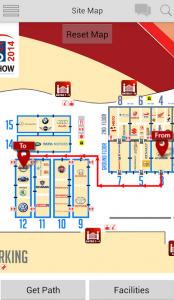 The application also showcases the Site Map of the new venue, which is the India Expo Mart, Greater Noida. 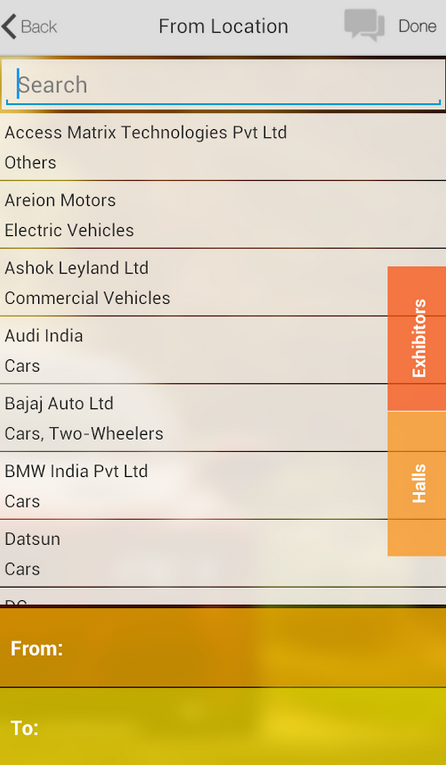 Buying tickets for the much loved Auto Expo is easy as it can be done online, the charges for a reugular ticket on weekdays is 200 INR and on weekends is 300 INR. However, if you want to visit during the business hours, the money you will spend is 500 INR. Moving On, as the Auto Expo 2014 shifts from Pragati Maidan to India Expo Mart, it also takes the convenience of Delhi Metro. However, the organizers have also provided free shuttles from the nearest metro station. 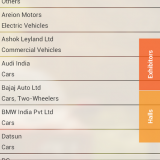 The Auto Expo 2014 will witness the launch of over 70 products from the Auto companies, this makes the Auto Expo 2014 to be the biggest ever auto show in sub-continent. 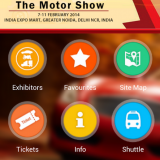 All this information is given to us via the Auto Expo app itself, once you enable the push notifications it will show you all the latest happenings in the event. The application does a great job of giving al the information a person might be looking for to attend the huge upcoming show. So, are you planning to visit the show ? Expect every new launch to be covered by us, Stay tuned to AutoGyaan.